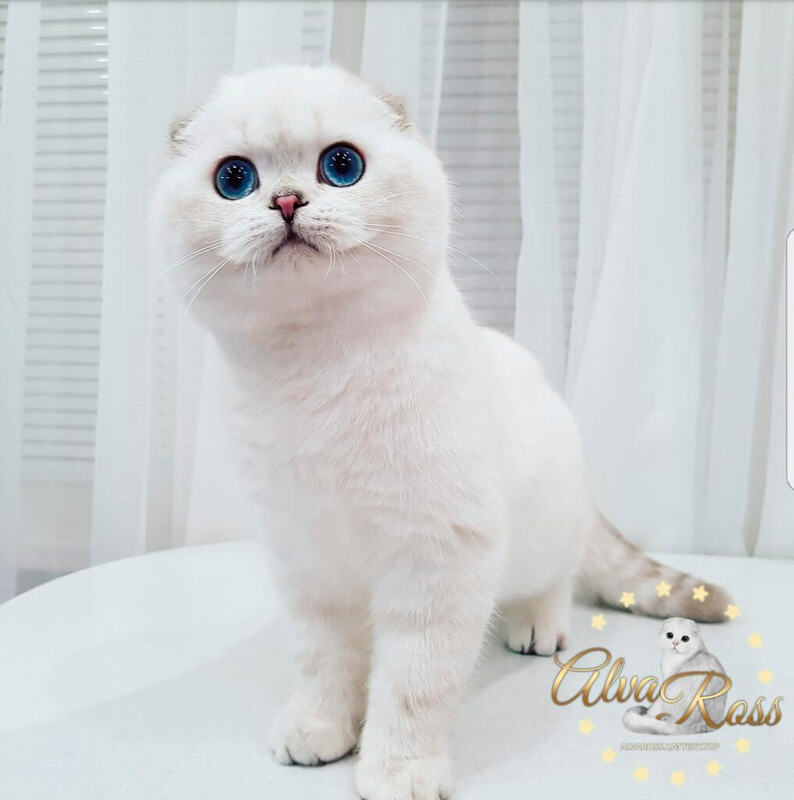 Why do all Scottish Fold kittens have blue eyes at a small (young) age? Which kittens will have blue eyes when they grow up and become adults? 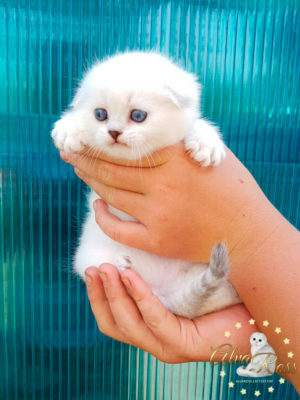 Scottish Fold kittens with blue eyes are the number one discussion topic! 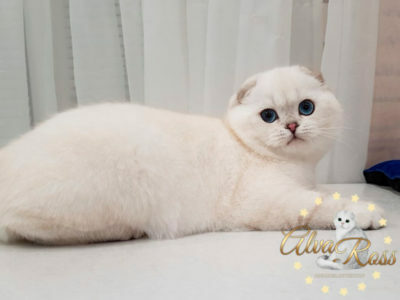 Many people want to have a Scottish Fold kitten with blue eyes. The dream of such people is feasible. But there is a feature that must be considered when you make the final choice about buying such a kitten! In many cases, you are given the opportunity to choose a kitten at a young age (when the kitten is not yet three months old). 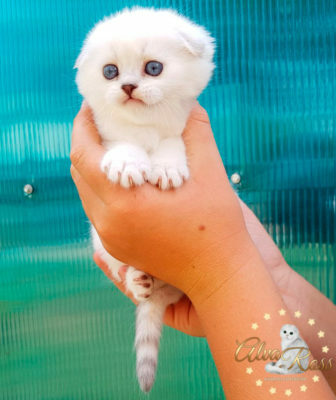 You look at the pictures of kittens at this young age and see that the kitten has blue eyes. Yes, but there is a catch: all kittens of all colors at such a young age have blue eyes! As they grow older, the kittens' eyes change their color, and, over time, the kitten will have an eye color that matches its color. In adulthood, a fold-eared kitten can have yellow or orange eyes, green or emerald, and in rare cases, blue eyes! You know from the course of mathematics that there are theorems that require proof, and there are axioms that we accept as a fact, which does not require proof. ¿ Will the eye color change as the kitten grows? • Yes, definitely change! In the process of growing up, a pigment that paints the eyes with color appears. Eye color will match the color of the kitten. ¿ Do all Scottish Fold kittens change their eye color as they grow older? • No, not at all! 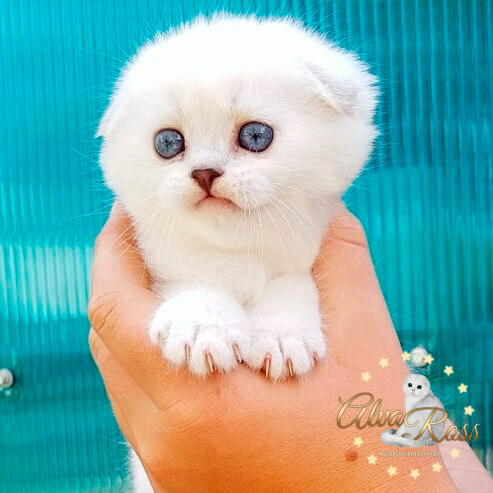 Scottish Fold kittens that have a color-point gene and are born from two ponted parents will have blue eyes in adulthood. Only adult Scottish cats that have the color-point gene and are born from parents who also have the color-point gene will have blue eyes! As it was already written above, the “color-point gene” gives a blue color to the eyes for the whole life. If a Scottish Fold kitten has such a gene, then the likelihood that the eyes will be blue is great. Condition 2. One of the parents must have the pointed color (color-point, tabby point or chinchilla point), and the second parent may be of a different color, but genetically it must have a color-point gene (must have a pointed parent in the pedigree). In this case, the probability of having a Scottish Fold kitten that grows up and becomes handsome with blue eyes, of course, exists. But there will not be very many such kittens in the litter. Therefore, before buying a kitten from such a breeding pair, it is necessary to determine exactly what color the kitten has. 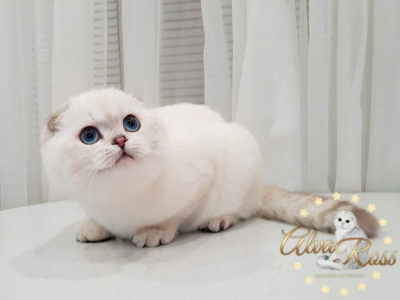 If it is determined that the kitten has one of the color-point, tabby-point or chinchilla-point color variations, you can buy such a kitten as its eyes will always be blue. In the event that one of the parents has a pointed color, and the second parent of the kitten not only does not have a pointed color, but does not have pointed parents and ancestors in the pedigree, the probability of having a pointed kitten will be zero! 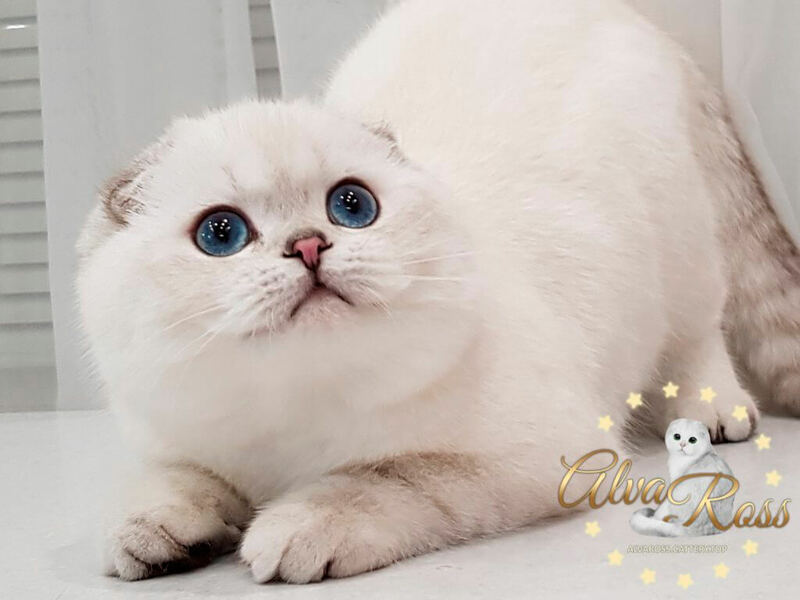 If you carefully read this article, you already remember that all Scottish Fold kittens of absolutely all colors are born with blue eyes! ¿ What is the difference between our Scottish Fold kittens and Scottish Fold kittens that are born in other catteries? • The difference is that we are breeding rare colors of Scottish cats! The kitten you buy in our cattery will have emerald eye color or blue eye color! ¿ When will Scottish Fold kittens have emerald eye color in perspective? 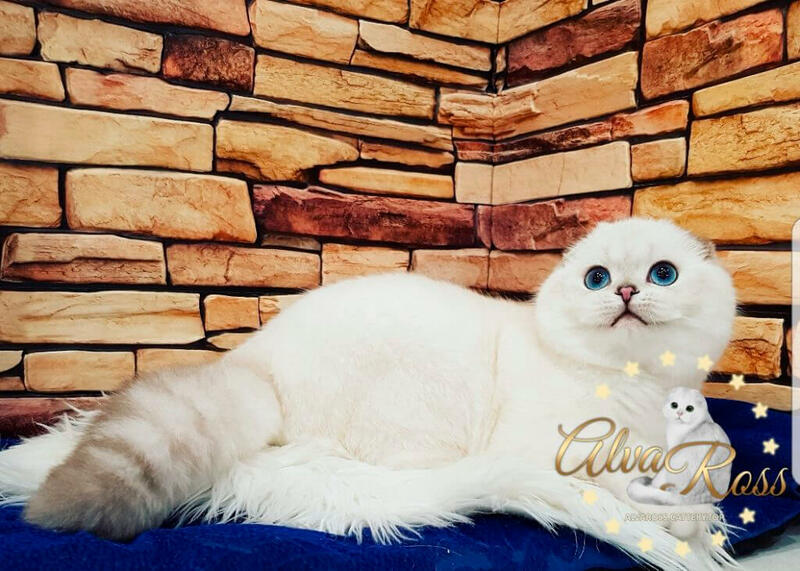 • Scottish Fold kittens of Chinchilla color from our cattery will have emerald eye color. 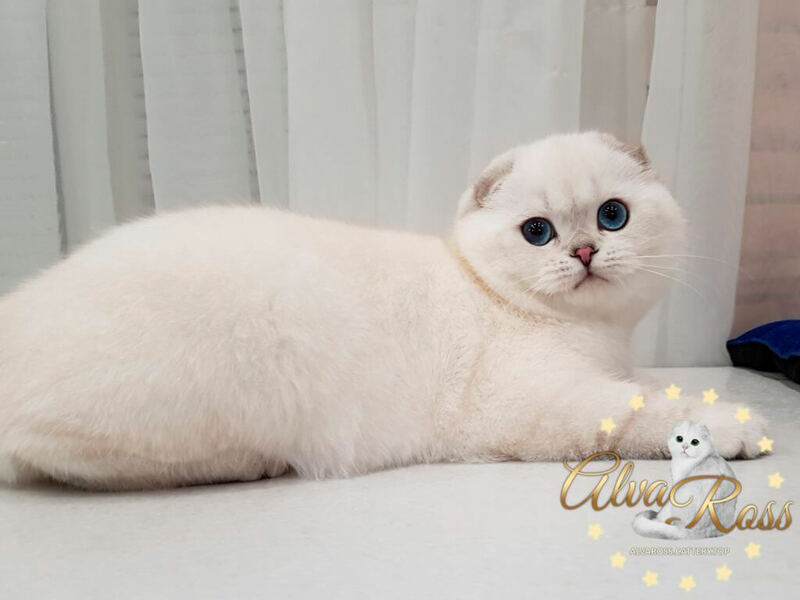 ¿ When will Scottish Fold kittens have blue eye color in perspective? 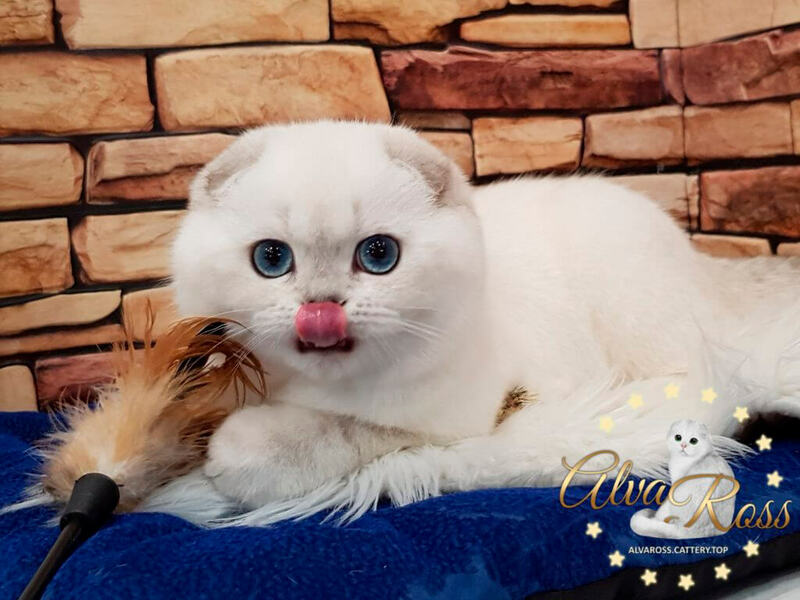 • Scottish Fold kittens of Chinchilla Point color from our cattery will have blue eye color. Write! Call! We will help you make the right choice!